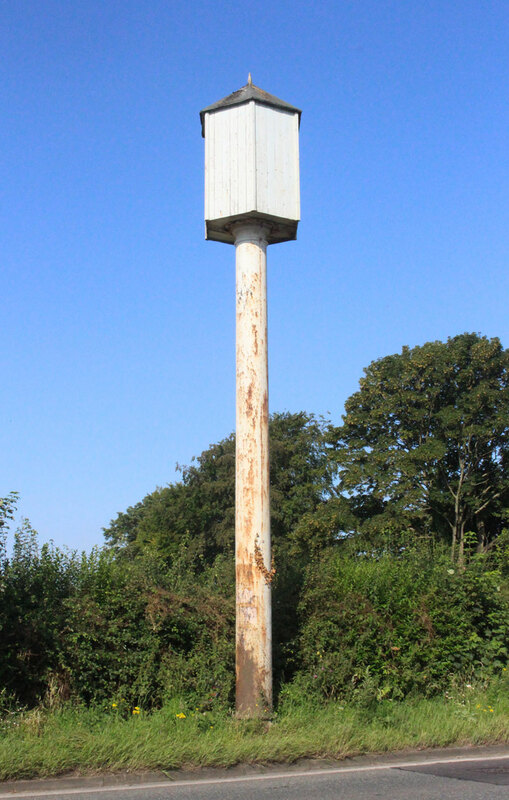 Some of the original junction marks for the sewerage pipe can still be seen in the Village, with a metal plate usually placed on a nearby wall marked with a letter J. It seems that the scheme had its problems and many times in the last fifty years the pond has reformed in this area after heavy rain. It is generally accepted that the original pipe that runs under the canal, wasn’t of sufficient diameter to cope with excesses of rainfall & sewage. 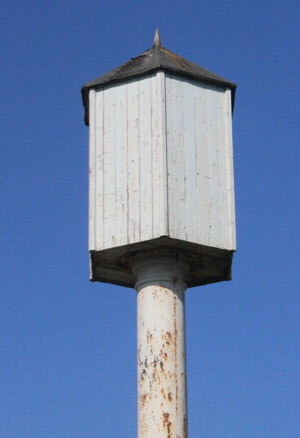 The original scheme had a series of vent pipes built into it, to take away excess gasses one situated opposite the Girls School, and another along Quarry Lane near the new Primary School which is still in place. The sewage lift now disused is situated just off the A41 opposite the Cheshire Cat Inn, and the original collection tank was just below the bend to the right of the entry to Christleton Grange. The hydraulic lift was installed at the turn of the last Century by Messrs Adams of York. When the sewers were laid around the village, it was intended that they should discharge crude sewage into Caldy Brook near Rowton Grange, and would have then be further discharged into the River Dee in the vicinity of the Chester Waterworks intake. The Water Company were most concerned about this proposal, having great concerns about possible pollution, and negotiations took place with the Council seeking an alternative solution. It was then agreed to install the Hydraulic lift, which would be operated by water power under pressure, and the Waterworks Company would then provide a free supply of water. This arrangement worked reasonably well for many years, but there were occasional difficulties. The principle of the lift is that sewage was collected in a tank below ground level and water under pressure supplied by the Water Company was discharged into a small tank at the top of the elevated column. When the sewage in the tank reached a predetermined level the water from the tank automatically discharged. This created a head on the sewage which was then forced over the rising ground near Quarry Bridge and discharged into the Chester City sewers on the north west side of the railway. Following the second world war it was found that the hydraulic life was continually breaking down, requiring considerable repairs, and due to the availability of electricity in the neighbourhood an electric pumping station was constructed in the vicinity. The lift was then disconnected from the water mains and sewers. Since then it has remained a mystery object to many people, being referred to as ”The Pigeon Cote” and even appeared in a book by John Timpson about Strange Antiquities along England’s Roads.